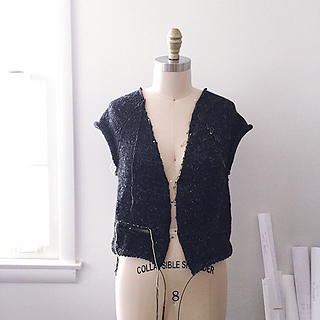 IMPROV is a basic pattern — and full tutorial — for a seamless top-down sweater, complete with notes on adding seams if you like! Knitting a basic sweater from the neck down is one of the easiest ways to gain an understanding of how sweater shaping works, which builds your confidence as a knitter and enables you to begin modifying published patterns to your liking or to knit without a pattern. 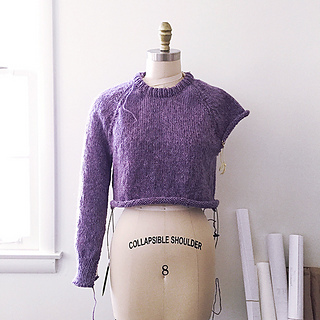 And it’s so simple — if you can knit a thumb gusset, you can knit a top-down sweater. For this pattern, you may use any yarn and needles you like; you may choose between a pullover and cardigan, as well as the specific details thereof; and you’ll establish your own stitch and row gauge. 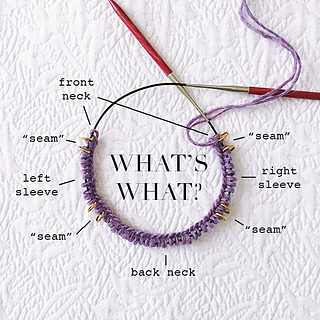 Everything you need to know is in the pattern and tutorial.